In 1998 Lance Clifford started an online website called Pirate4x4 as an extension of the Pirates of the Rubicon club he was a part of. While bulletin boards had been around for a while, this was one of the first, real, online forum for the off road world. Pirate4x4 became legendary and so did its founder. Pirate4x4 was sold in January 2012 to VerticalScope which gave Lance the freedom to enjoy the Off Road Lifestyle by whatever means necessary. ModernJeeper had a chance to sit down with Lance and talk about life after Pirate, racing and doing the Baja 1000 for BFGoodrich. 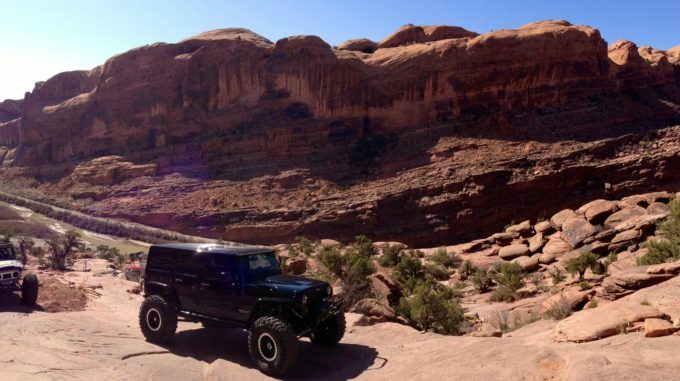 ModernJeeper: Lance, you were just selected to race the Baja 1000 for BFGoodrich Tires in the BC-1 team. How long has it taken, and to what do you mostly attribute this huge honor? 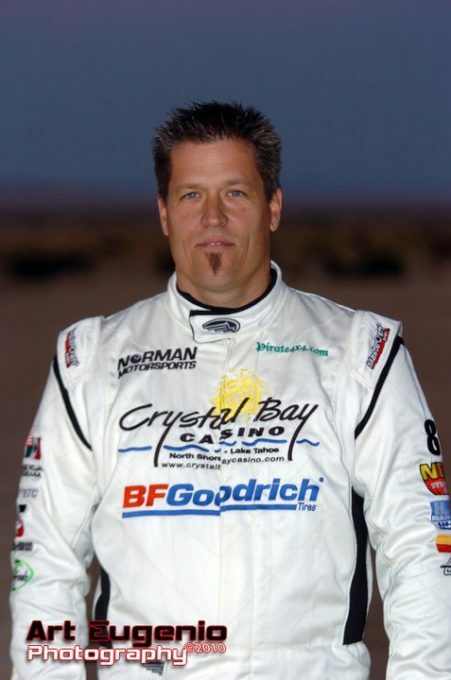 Lance Clifford: I’ve been racing on BFGoodrich tires competitively since 1999. I was lucky enough to be one of the handful of folks that got to help develop the BFGoodrich Krawler from concept to reality. I’ve been loyal to the brand over the years because when you truly believe in a superior product, it’s easy to let everyone you know about it because the product speaks for itself. When you make a climb that others can’t, they know it’s not the driver (me), it must be the tires! haha. I think BFG recognized my loyalty to the brand a few years back and asked me to be an official brand ambassador for them. That was a big honor, and something I take pretty seriously. MJ: You are known for your big Jeep and trail riding skills, but you are also a Baja racer! How do you keep both ends of this candle lit; and choose between the two very different sports? LC: I enjoy them both immensely. They are very very different, but also the same. At the end of the day it’s the same two feet on the same gas pedal and brake. They both require your full attention or something bad is going to happen quickly. I like to say I’m a “well rounded” off roader. MJ: ModernJeeper staffer Del Albright met you nearly 20 years ago when you were fighting to keep our access to the Rubicon Trail. What do you remember or like about that first work weekend? LC: I think that day was really the true beginning of the FIGHT to keep the Rubicon alive. It was the birth of what would become the FOTR and even the RTF. I think that it also empowered a lot of people who weren’t sure what to do or how to fight for their local trails around the country to get involved before they lost their trails for good. MJ: In 2001 you provided a place for Friends of the Rubicon (FOTR) to grow and prosper on the internet. To what do you attribute the successes that followed your leadership in what was then a relatively new way to interact? MJ: You have been a California boy most of your life, but now you are living the life in Hurricane, Utah. What is the back story on this move and new lifestyle? LC: Without getting too political, after selling Pirate4x4 and writing the biggest check of my life to the State of CA and good ‘ole Jerry Brown, I said enough is enough. I knew there was a better life outside of my home state of California. We moved to Utah 5 years ago next month and it was the best thing we’ve ever done. I could give you a million reasons why. Lance built a beautiful JK for his Jeeping times. MJ: Finally, we have to ask: You have lived in and participated in all aspects of the four-wheeling/off-road world most of your adult life. What advice would you give younger folk coming along in our sport? LC: I’ve learned a lot about off roading, and just racing in general over the years. Work hard, and have a budget. Think long term. If you think short term, you’ll run out of money and you won’t race anymore. You can see it in the SCORE Trophy Truck class all the time. You see big shots rolling in with a fleet of brand new chase trucks, semi’s, helicopters, hot chicks in bikinis, etc. Then the next thing you know a year later they are gone. “What happened to Billy Bob Racing?” “Oh, he ran out of money.” You even are starting to see it at Ultra4 races. Look, nobody gives a crap about all your fancy matching chase trucks. If you think you need to have all that stuff to get a sponsor, you’re wrong. What good does it do to spend 100k to get a 10k sponsor? Plan long term, don’t do something stupid like refinance your house to buy an Ultra4 car. Build your way up to it. If you can’t afford a $200,000 race car, then buy a stock Jeep and race the crap out of it. Racing is racing, and no matter what you’re driving, you’ll be driving it to it’s limit and having fun! Be loyal to those who support you. Remember, NOTHING is FREE! Just because a company gave you something for $0.00 doesn’t mean you got a freebie. They expect a return on their investment, preferably 10x. That means YOU had better be able to sell 10 of those products for them or guess what? Your “sponsorship” probably isn’t going to last long. MJ: Lance, thank you for your time and for those wise words.